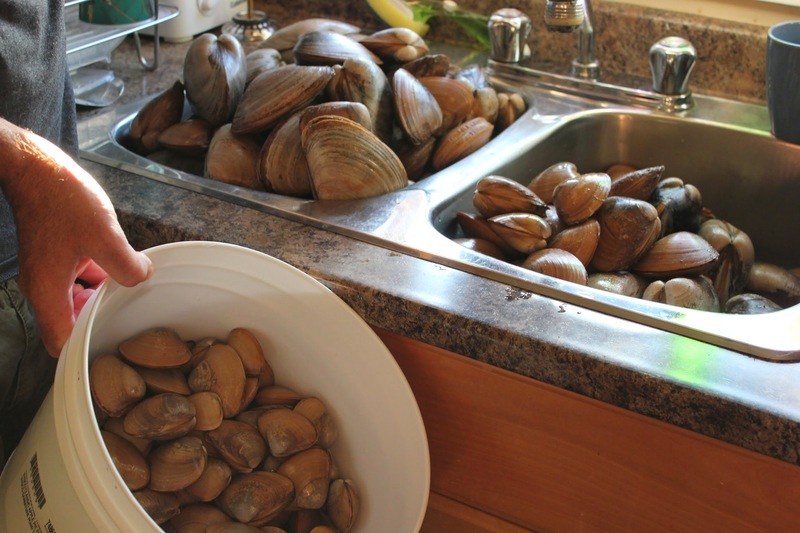 The Atlantic surf clam (or bar clam), is a well-known saltwater clam known to beach-goers in both Atlantic Canada and in the northeastern United States. The bivalve mollusk lives offshore as well as in the low intertidal and surf zones where it buries itself in coarse or fine sand. These filter feeders use their siphons to pull in and then filter fine particles of organic matter and plankton from the surrounding seawater. 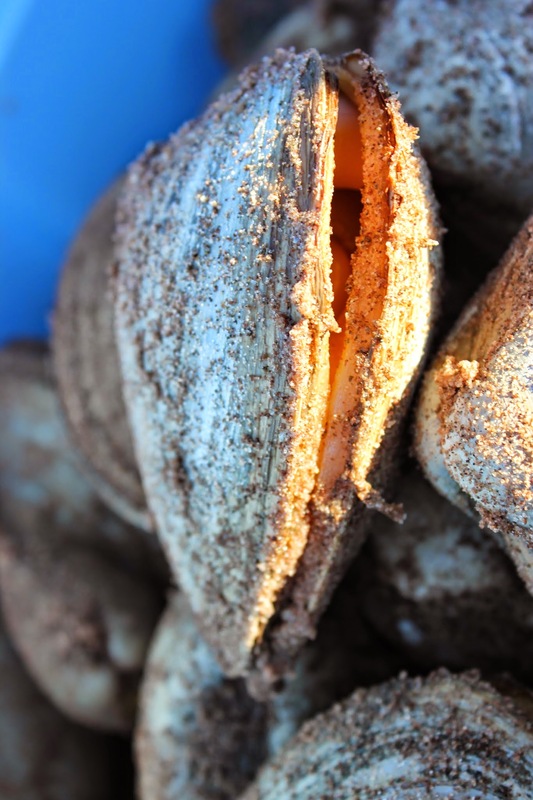 Remember that the shellfish you harvest and eat should always come from an open fishing area. Check with your local fisheries and oceans department to find out if an area is suitable. 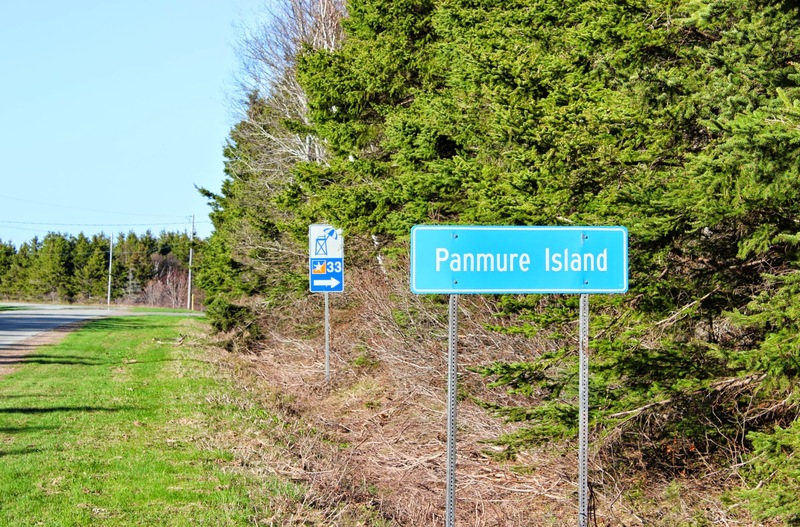 Panmure Island is a small island and provincial park located off the east coast of Prince Edward Island, Canada. 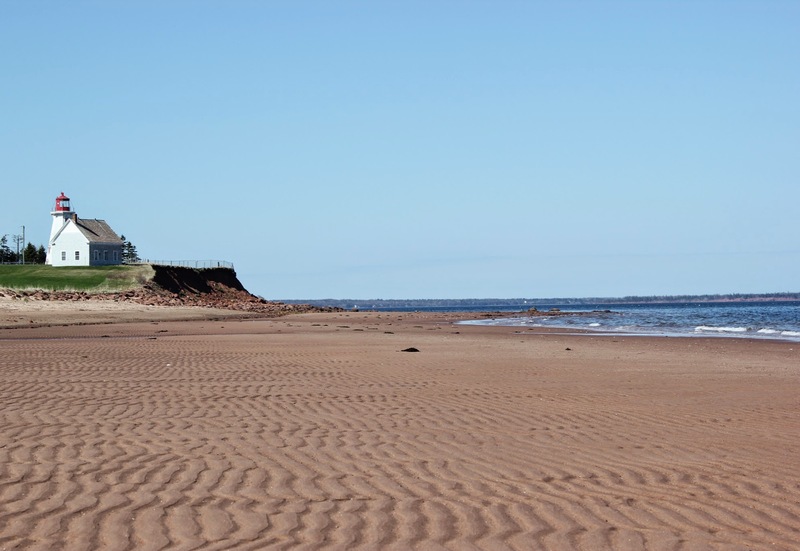 The island is one of PEI’s favorite summer beach destinations but we found it completely deserted on a chilly day in May. 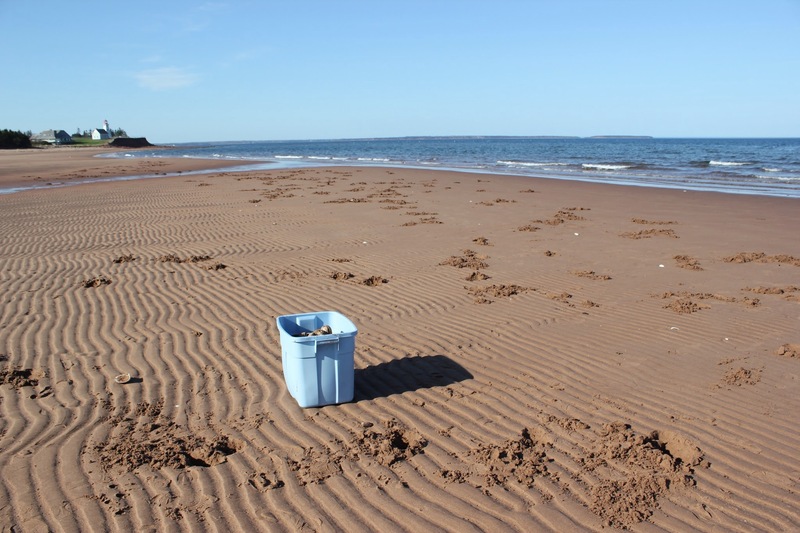 The best clamming is done during low tide when the most productive beds are exposed and the sand loses some of its moisture. We began our dig about an hour before the lowest tide of the day and were not disappointed. 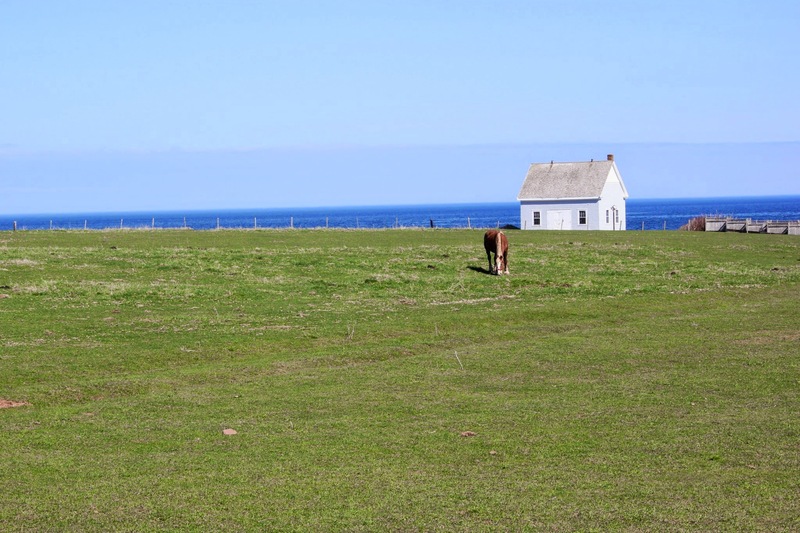 While specialized equipment can be helpful, it’s certainly not required. 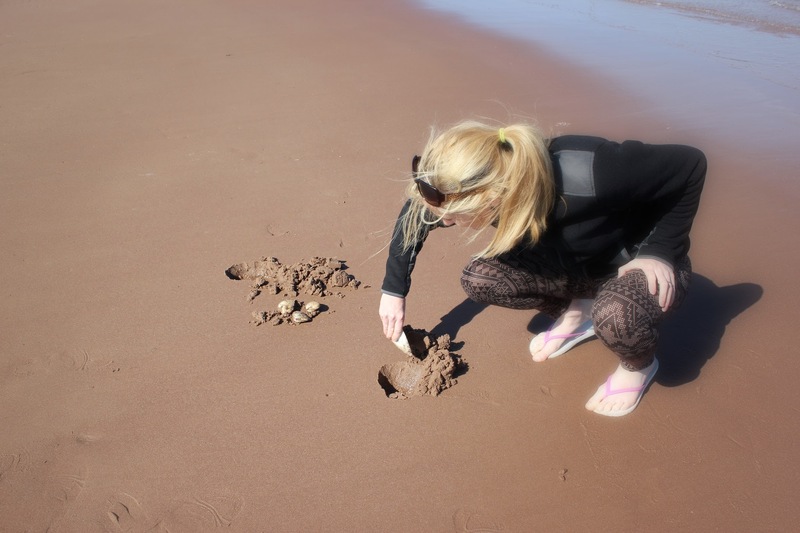 We forgot our shovels but Karen discovered that clam shells themselves make for a perfect digging instrument. One sign of a productive clam bed is the presence of small holes in the sand, which range in size and shape depending on the species. Often times you have to dig a foot or more to find the clams but on this day we were lucky enough to find them only a few inches beneath the surface. 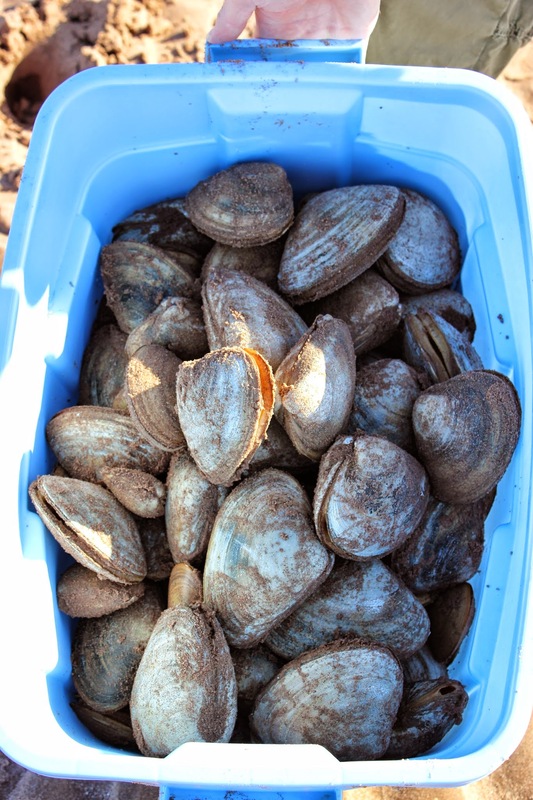 The days harvest was bountiful and we had 50+ pounds of clams in just under an hour. There are of course many ways to prepare a surf clam but I prefer the most simple method, steaming. 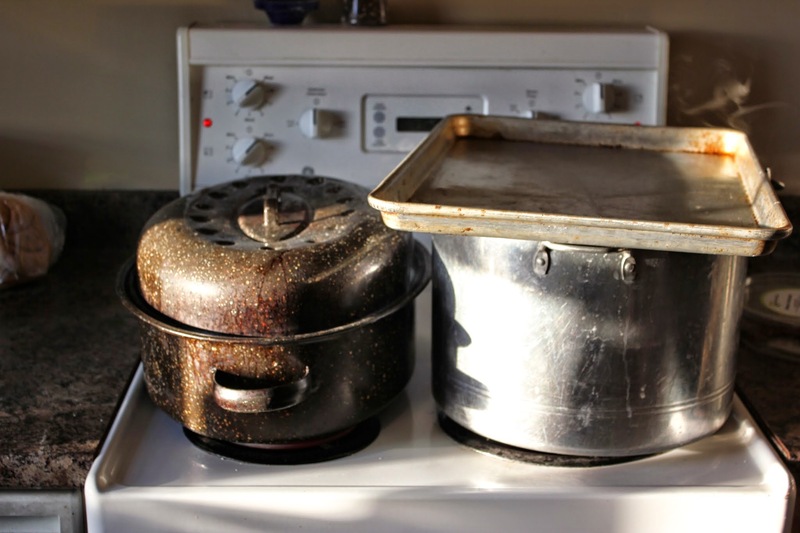 Fill a large pot with a few inches of beer or white wine, cover, and bring to a boil. 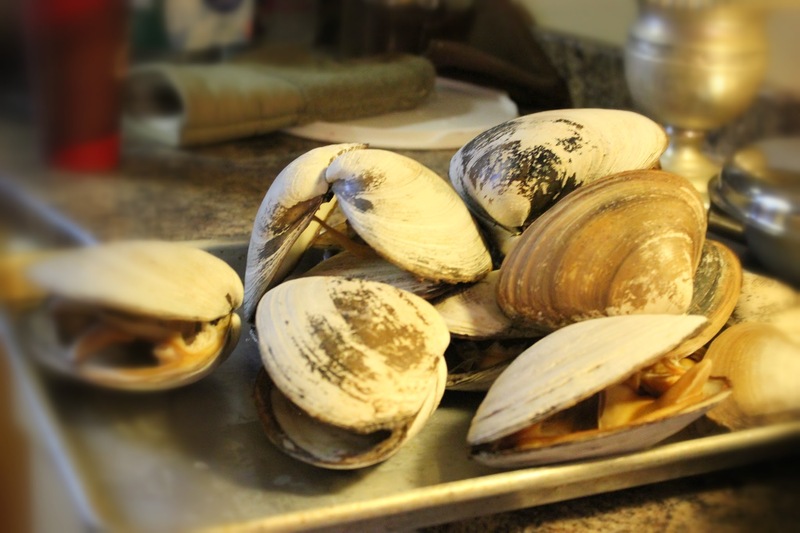 As soon as you see and smell the thick, fragrant steam pouring out from under the lid, set your timer and cook for 5-7 minutes depending on the size of the clam. Serve with warm clarified butter and champagne vinegar for dipping.